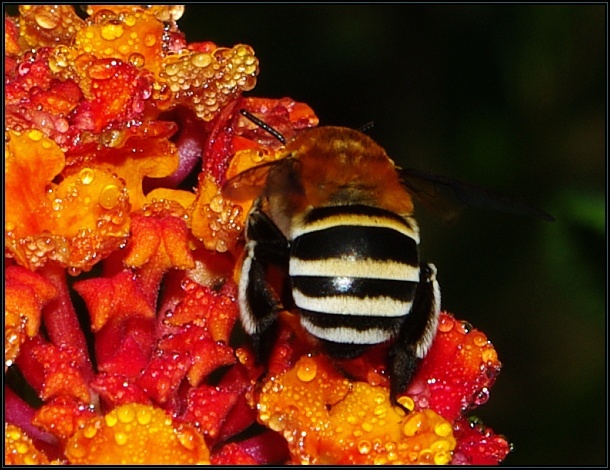 The White banded digger bee (Amegilla quadrifasciata) is a solitary bee which is often found roaming on flowers belonging to the Boraginaceae and Verbenaceae. 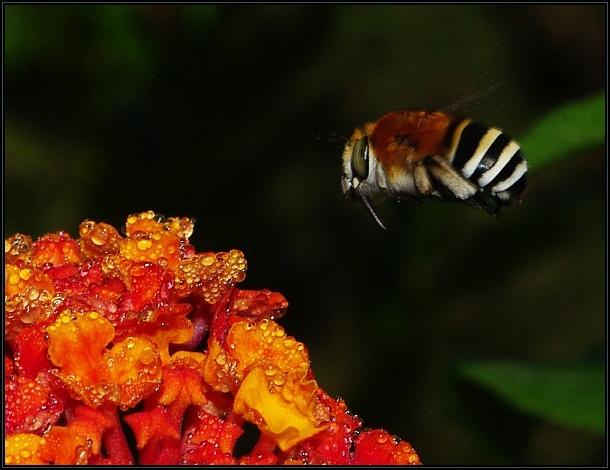 They are common in Buskett where they may be seen hovering and feeding on the planted Lantana sp. (as in the photos).